Alright! We’re down to the wire. 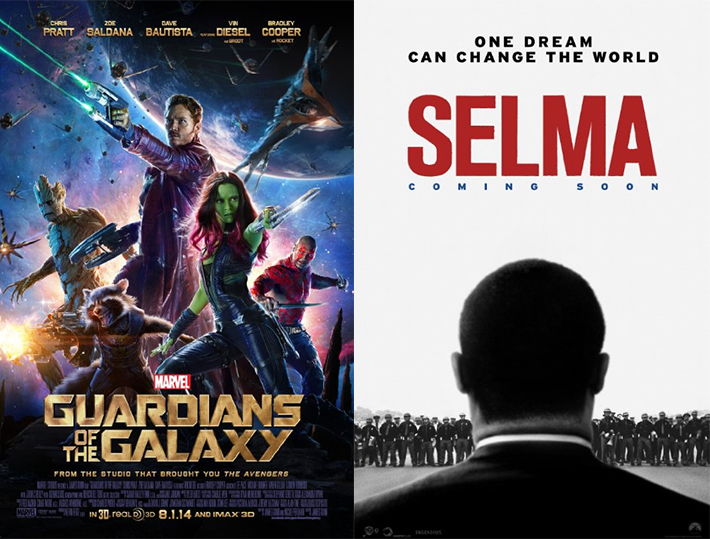 The semifinalists are (drum roll, except not, because Whiplash is out): Guardians of the Galaxy, The Lego Movie, Selma, and The Grand Budapest Hotel. 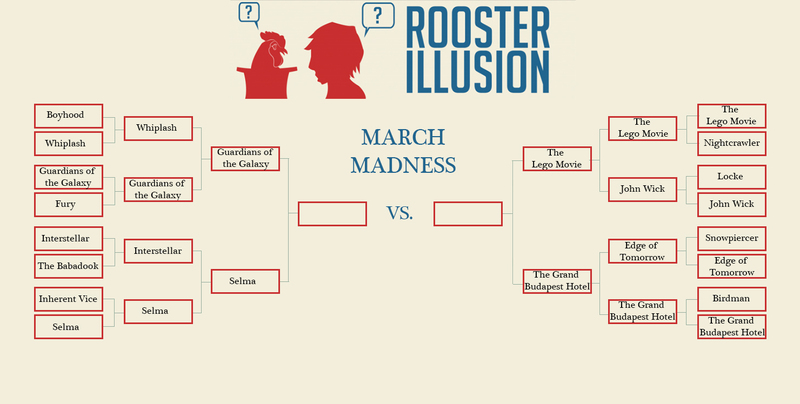 In conjuncture with popular rule, these four films have beaten out all the others to compete in the last few rounds of voting and by the end of the month one of them will be declared Rooster Illusion’s Best Film of 2014. Now how about that? Regardless, Chris Pratt currently has a 50% chance at the championship title. Today (and tomorrow) voting is open for our first semifinal. Who will you vote for? Marvel’s chuckle-inducing blockbuster space adventure or a melancholic yet hopeful look at one of the most important figures–and one of the most important events–in American Civil Rights history? Need a recap on either Guardians of the Galaxy or Selma? Follow the links and read our reviews, but don’t forget to come back and vote afterwards.